My summer style goes back and forth between minimal/classic and flare, this shirt has it all. This post is in partnership with Macy's. All opinions are my own. I'm one of "those" people this summer. Engulfed in all of the classic Parisian "trends". Bardot necklines, button front dresses, wrap tops and maxi dresses...all of it! I've also been having a lot of fun with seperates this summer! 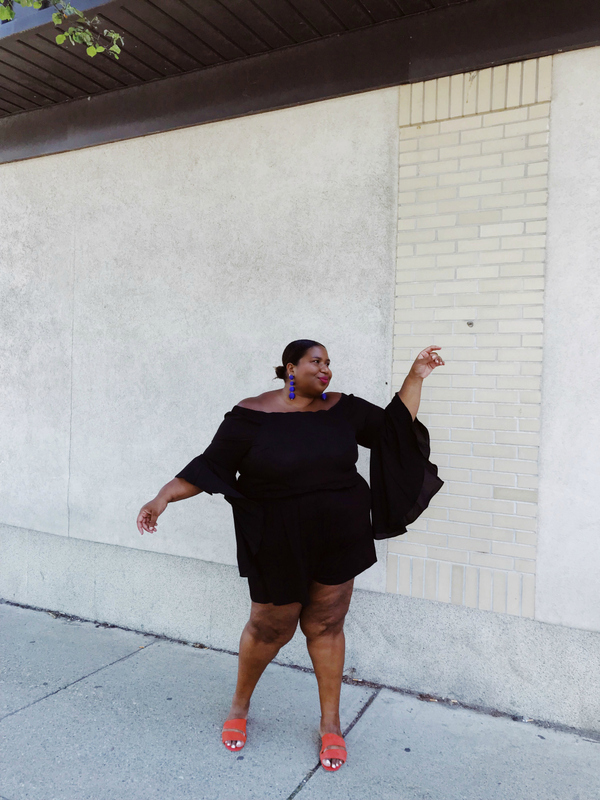 When I saw this City Chic top I instantly thought - I need to twirl through the street and give the world my best Misty Copeland vibes. 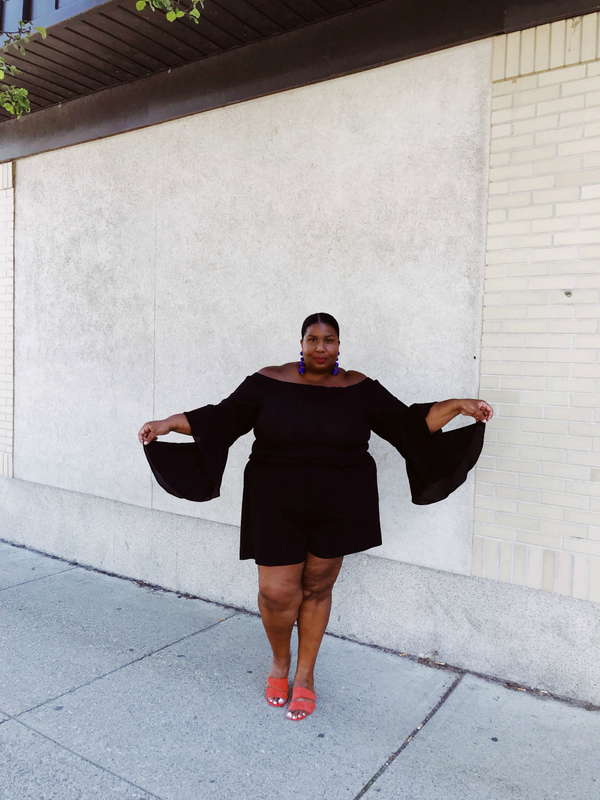 I slicked black my hair, added an easy pair of flouncy jersey shorts and a few colorful accessories to keep the simple all black look from looking boring. The top is a soft crepey material and what I love about the sleeve is that the top of it is a bit more fitted. It creates a great shape and adds to the drama of to overall look. I love easy pieces that transition well, so this top works with shorts, skirts a great pair of jeans. It's fun for daytime but also is perfect for a night out look. I wore this look during the day when I was upstate and kept it on when I got back into the city for a dinner date. 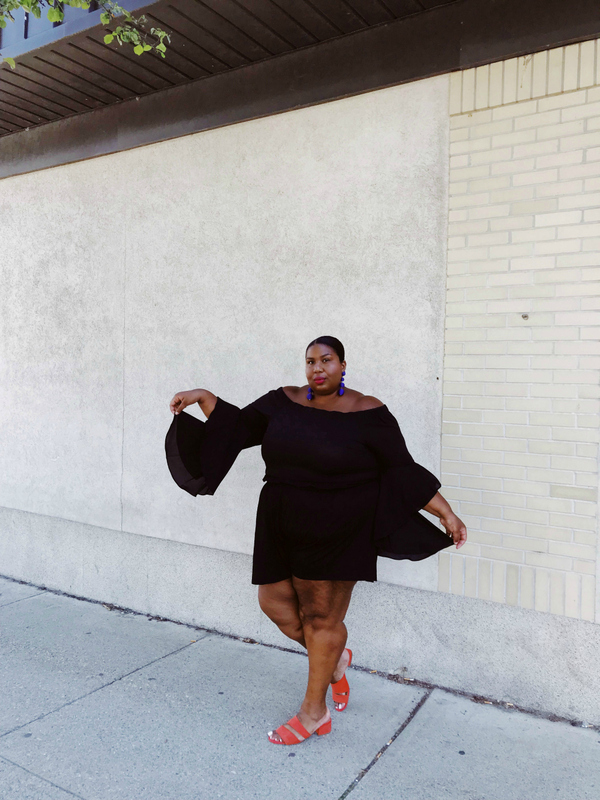 I felt really cute, and the flirty sleeve makes for a wonderfully dramatic taxi hail at the end of the night!